Home Politico Google Is Building a City of the Future in Toronto. Would Anyone Want to Live There? This past October, a coalition of the Toronto, Ontario and Canadian governments contracted with Sidewalk Labs, a sister company of Google, to come up with a $ 50 million design for a dozen acres on the waterfront’s far eastern end. The idea is to reimagine Toronto’s derelict waterfront as “the world’s first neighborhood built from the internet up,” as Sidewalk describes it. The neighborhood, called Quayside, would leapfrog the usual slow walk of gentrification to build an entire zone, all at once, as a “smart city,” a sensor-enabled, highly wired metropolis that can run itself. A truly smart city runs on data and algorithms rather than civic decisions made by humans. So, who owns all the data? Whose laws apply? What’s more, even cities built from scratch aren’t built in a vacuum, separate from traditional politics or conventional local goals. Aggarwala’s counterpart in government is Kristina Verner, who once taught computer science at the nearby University of Windsor and now directs the innovation and sustainability portfolio for Waterfront Toronto. She considers herself a “smart-cities nerd” but says that the “smart city” branding that’s attracted so much attention is more Google’s than Toronto’s. The city itself was mainly interested in the promise of solid economic development and a quick timetable. Sidewalk’s pitch had a number of compelling points, she says: There was the financial commitment, in the form of the pledge of some $ 50 million poured into developing a plan for the site, and its ability to deliver that plan in a single year. Appealingly, Google itself promised to anchor the project, moving its Canadian headquarters from Toronto’s financial district down to a to-be-determined spot on the eastern waterfront. But most attractive, she says, is that Sidewalk’s proposal was soup to nuts. 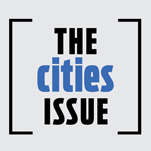 It was not simply a smart-cities play; it considered everything from sustainability to housing. “Sidewalk’s response was holistic in its answers to the questions posed,” Verner says. But Brody argues that even where companies attempt to carefully navigate that power imbalance, it exists. The cold hard fact is that while cities have struggled, Silicon Valley has companies that have produced astonishingly large heaps of cash. And in many cases, they need places to put it. One way of looking at the Sidewalk Toronto project, argues Townsend, is as a bid for a hugely valuable piece of real estate dressed up with a bit of what he calls “smartwashing.” Google has been in the market for attractive properties in knowledge centers lately. It recently bought Manhattan’s Chelsea Market for a whopping $ 2.4 billion. For companies with overflowing coffers, cities are an attractive place to put that cash.